Samsung creating the next Nexus? Samsung Romania announced/leaked on Twitter more than a week ago (wonder how nobody noticed it, but that’s a discussion for an another day) that Samsung just started the production of Nexus 3. 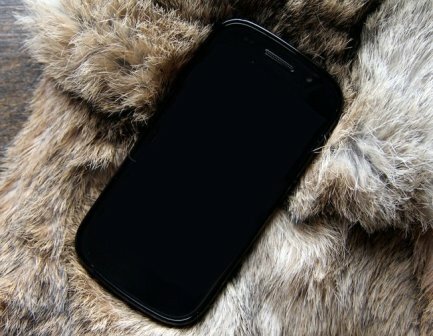 In a tweet, Samsung Romania stated that the next generation Nexus will launch before the end of 2011 and it will launch with Android 4.0, also known as the Ice Cream Sandwich. Given from rumblings that Samsung was working on the next generation Nexus deemed Nexus Prime (which is a real character in Transformers cartoon), this comes as a no surprise. Although Google tends to rotate manufacturers of Nexuses, those rumblings and tweets do nothing to distill rumors that the next generation of Nexus phones will come from Samsung. Given that Android-powered Galaxy S II has been flying off the shelf and serving as a de facto flagship Android devices in many countries, it almost seems like Google is rewarding Samsung for its great effort. Of course, there was another rumor that Google is not creating one Nexus phone, but several Nexus phones, each from different manufacturers. So what will actually happen with Nexus is still up in the air. Yet, either way, we can see Samsung hitting this out of this park with a beautiful ‘Super AMOLED HD’ display (which will feature a 4.3-inch, 720p display) and a dual-core, 1.5 Ghz Exynos CPU as well as a LTE connectivity. You really cannot beat Samsung on the spec superiority as we have seen in Galaxy S (beast of a hardware) and Galaxy S II, and with stock Android 4.0 on board, I can’t see how Samsung and Google can go wrong with this.